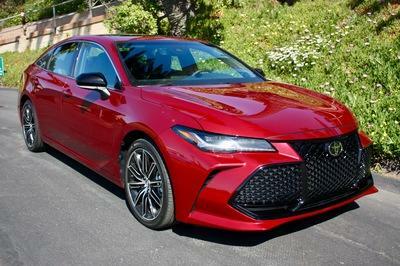 Toyota’s newest Avalon is an impressive vehicle, but it can get even more impressive when introduced to the fine folks at the Toyota Racing Development (TRD). 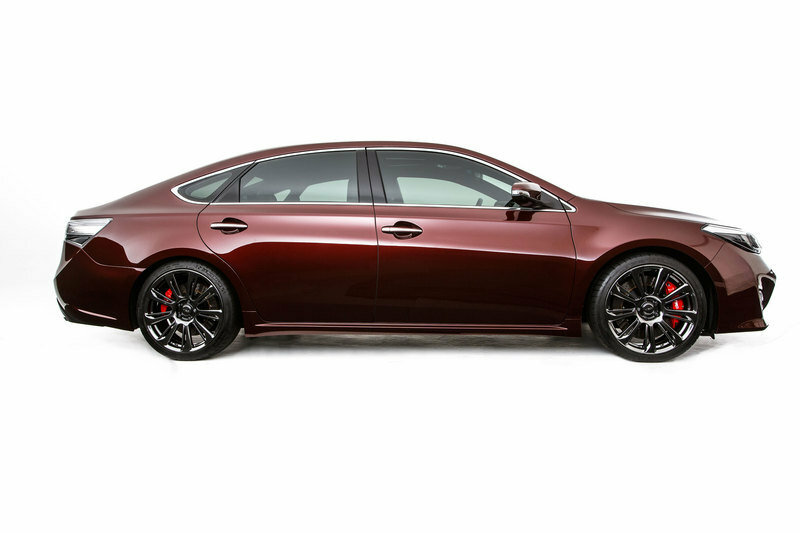 TRD is showcasing their take on the Avalon with a concept car appearing at the 2012 SEMA Auto Show. Their Avalon Concept not only highlights the design features of the exterior, but also adds a supercharger system to bump the V6 engine’s power. To what level it is boosted to is unknown at this point, but surely it will be revealed once the car is unveiled in Las Vegas. The new Avalon TRD features a two-tone custom paint finish, a color-keyed grille, and tinted taillights, as well as a new set of custom 19" wheels. There is also a TRD Big Brake kit and a new spring/shock package that lowers the car about one inch. For the interior, TRD added graduated perforated leather with red piping and stitching, plus a JBL GreenEdgeTM surround sound system with 15 speakers. 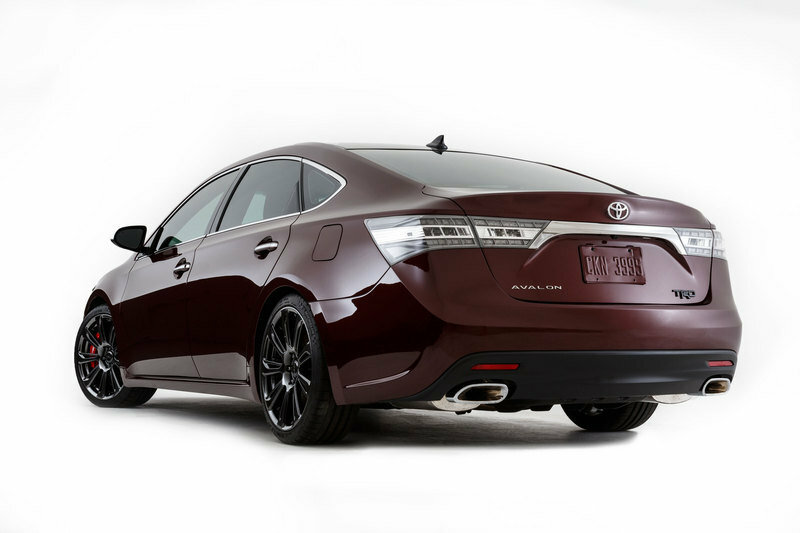 Hit the jump to read more about the Toyota Avalon TRD Edition. 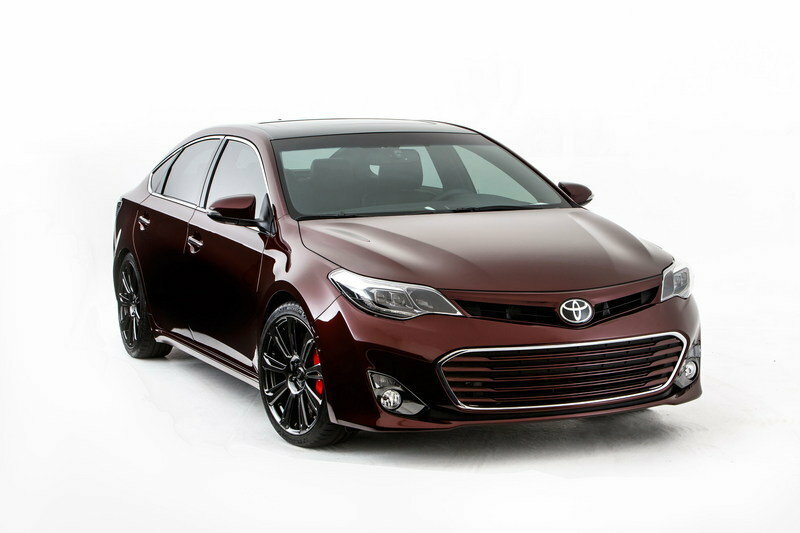 For the new TRD Avalon, the company opted for a two-tone custom paint scheme combined with a custom color-keyed grille and tinted taillights with clear inner and outer lenses. The car sits on a new set of 19" custom wheel design with three-stage paint wrapped in 225/40R19 Michelin Pilot Super Sport tires. TRD also installed a new dual exhaust system with high-polished mufflers and custom tips. The interior is wrapped in graduated perforated leather with red piping and stitching. The door panels and the instrument panel feature black leather with red accent stitching. As for the technology added, there is a new JBL GreenEdgeTM surround sound system with 15 speakers plus two trunk-mounted JBL 500W GTI D-class amplifiers. 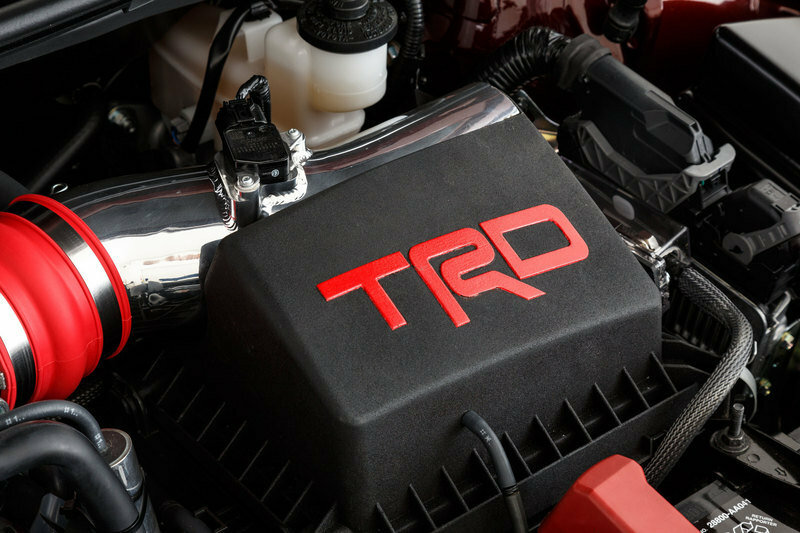 Under the hood, Avalon’s standard 3.5-liter V6 has received a TRD supercharger incorporating Eaton Gen 6 TVS rotor assembly. Unfortunately, we can’t tell for sure how the new supercharger will increase the final output, but we’re guessing it will be a mighty upgrade. 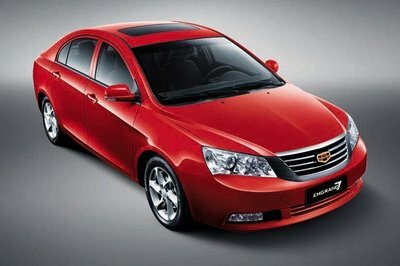 We’ll find out if ew are right once the specs are revealed at the 2012 SEMA Show in Las Vegas. 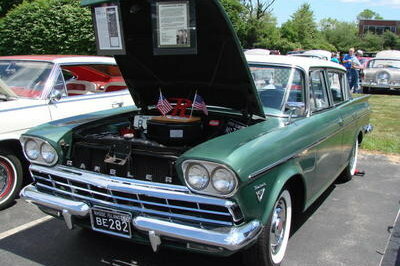 The engine is not the only part of the mechanics that has been changed. TRD also added cold-rolled steel coil springs that lower the vehicle approximately one inch at the ront and rear, plus modified steering assist, damping, and hysteresis characteristics. 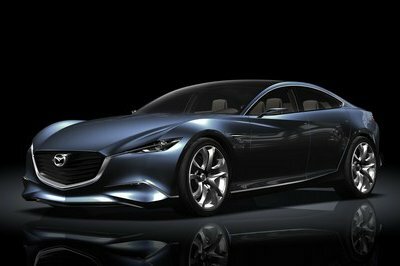 A new brake system has also been installed, sporting six-piston front and four-piston rear calipers on large cross-drilled spiral-vane rotors. The new Toyota Avalon TRD is just a concept at this point, but it will probably preview some of the characteristics of TRD’s future special editions for the Avalon. Fingers crossed! 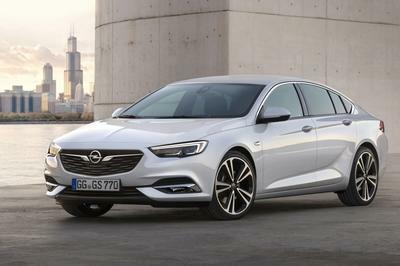 The competition list for the Avalon TRD is made up of the same vehicle battling the standard Avalon, including the Buick LaCrosse and Hyundai Genesis. The 2012 LaCrosse is powered by a 2.4-liter Ecotec direct injection four-cylinder engine, while the Genesis comes in three different versions: a 3.8 version powered by a 333 HP 3.8-liter V6 engine, a 4.6 version with a 385 HP 4.6 V8 engine, and an R-Spec version with a 429 HP 5.0-liter direct-injected V8 engine.